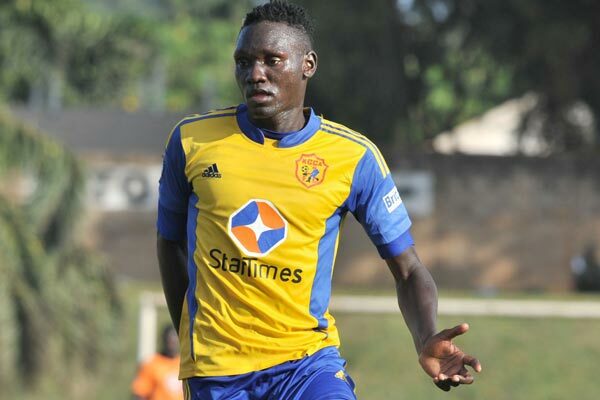 Ugandan defender Joseph Benson Ochaya has sealed a two-year-move to DR Congo heavyweights TP Mazembe from Lusaka Dynamos of Zambia. Ochaya has been a long term target of the Ravens who have been remolding their ageing squad to compete again in Africa. The 25-year-old former Asante Kotoko and KCCA left back ditched Lusaka Dynamos over nonpayment. The player reported the financially crippled Lusaka-based outfit to FIFA for breach of contract leading to his release. He is expected to step in the big shoes of veteran DRC left back Jean Kasusula. “I am very happy to sign for the TPM. By signing for such a big club, you come to win titles,” the former Ugandan Premier League most valuable player said. Ochaya has started training with the Lubumbashi based five-time African champions.